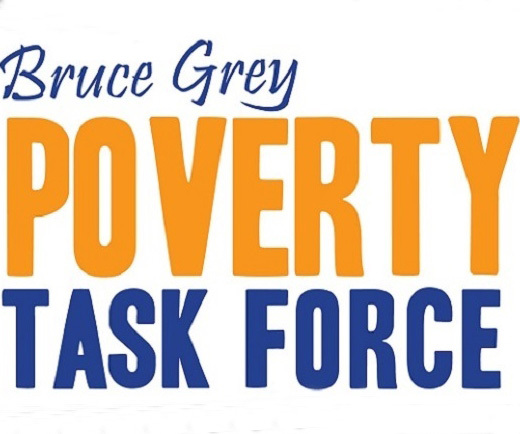 Grey Bruce Public Health and Bruce Grey Poverty Task Force are working together to encourage munipalities across Grey and Bruce to endorse and take action on the Bruce Grey Food Charter. Public Health Dietician Laura Needham has been on a roadtrip across Grey and Bruce Counties to speak about a just and sustainable local food system. This is the collective vision of many members in the food security community and those who sit around the table of the Food Security Action Group of the Poverty Task Force (PTF). Laura Needham, who is also the co-chair of the Food Security Action Group of the PTF says the Food Charter is a guiding document to assist in the development of policies and programs to promote a healthy and just food system in Grey and Bruce Counties. In 2017 and 2018 we have seen an increase in the number of municipalities in Grey and Bruce Counties endorsing the Food Charter. Check out to see if your municipality or organization has endorsed the Food Charter! Click on this link or go to: https://povertytaskforce.com/food-security/bruce-grey-food-charter to read the Food Charter and download the endorsement form. • To foster successful and resilient local food economies and systems throughout Ontario. • To increase awareness of local food in Ontario, including the diversity of local food. The Local Food Resource Guide serves as a tool to enable municipalities to identify, develop and support dynamic local food initiatives and to promote evidence-based decision making regarding local food goals and targets. Ultimately, the Local Food Resource Guide aids in preparing municipalities to set targets, steps that are being taken to reach the targets, and progress that is being made towards meeting the targets.